The Mediumweight PVC Dotted Kevlar Gloves KKM10DD offer high tensile strength, a soft flexible fit, and outstanding PVD dot Kevlar that provides excellent grip. 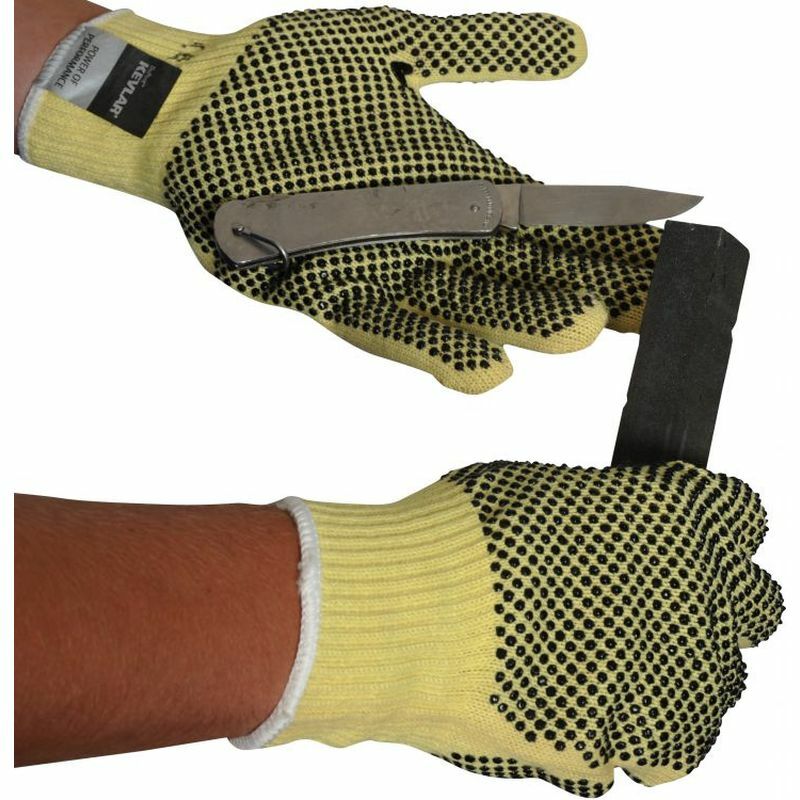 Designed to be tough, these gloves are durable and resilient and can with take repeated knocks while keeping hands safe. 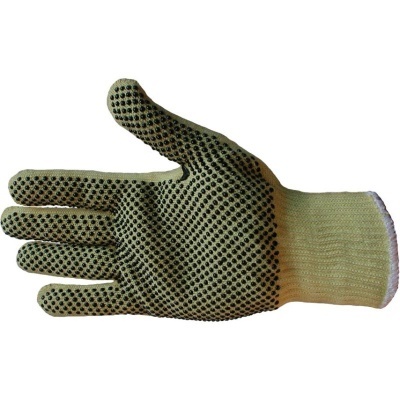 Additionally, they are resistant to heat of up to 100°C, ideal for assembly or extrusion. 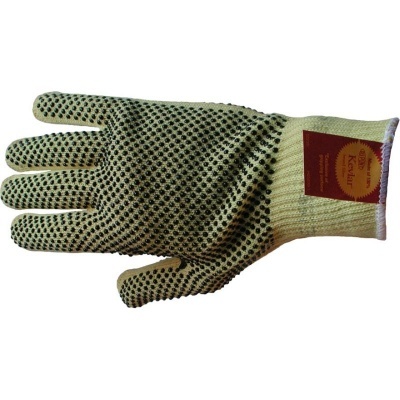 The Mediumweight PVC Dotted Kevlar Gloves are available in a size 8 only. Please measure the circumference of your hand around the knuckles (excluding the thumb) with your hand open and your fingers together, and the length of your hand from the tip of your middle finger to your wrist.